To celebrate Christophe Roustan-Delatour’s work on the Penelope Betjeman Collection of photographs of Himachal Pradesh, this seminar will look at related collections and websites, followed by discussion and a lecture. 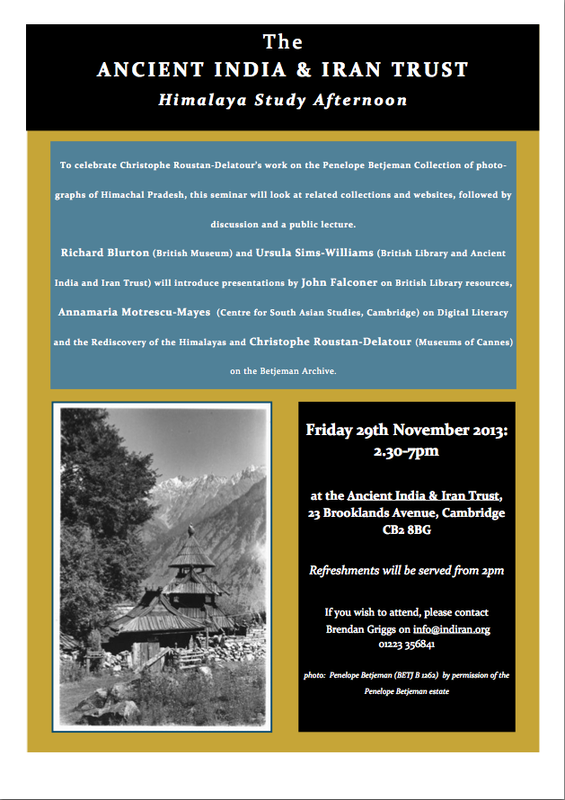 at the Ancient India and Iran Trust, 23 Brooklands Avenue, Cambridge, CB2 8BG. Refreshments will be served from 2pm.